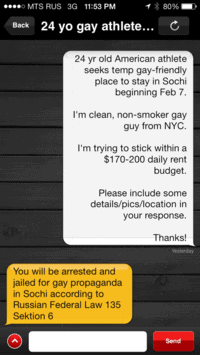 The founder and CEO of Hunters, a gay hook-up app popular in Russia which bears similarities to Grindr, tells Towleroad that the app came under an attack by hackers. 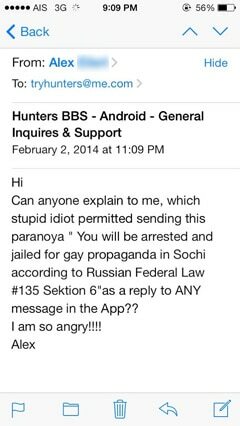 The anonymous threat which read, "You will be arrested and jailed for gay propaganda in Sochi according to Russian Federal Law #135 Sektion 6" was sent on February 1st, 2014 at 11:52 pm to all users in Russia, including those in Sochi. 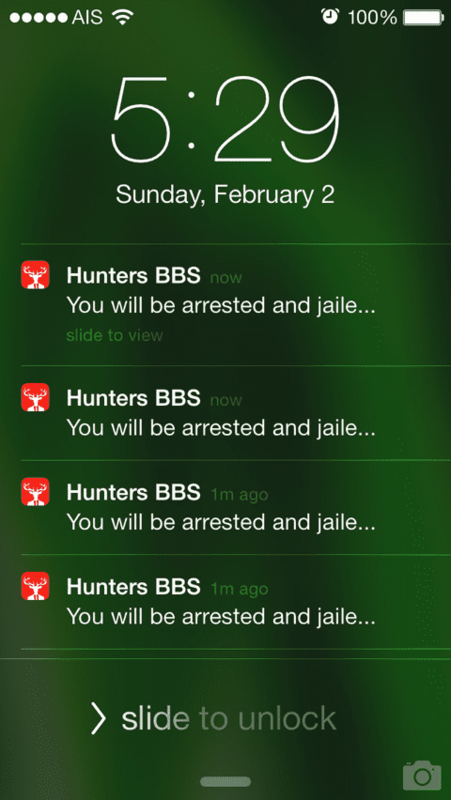 Hunters is blocked in Sochi and Adler now, and some 72,000 user profiles were deleted throughout Russia. 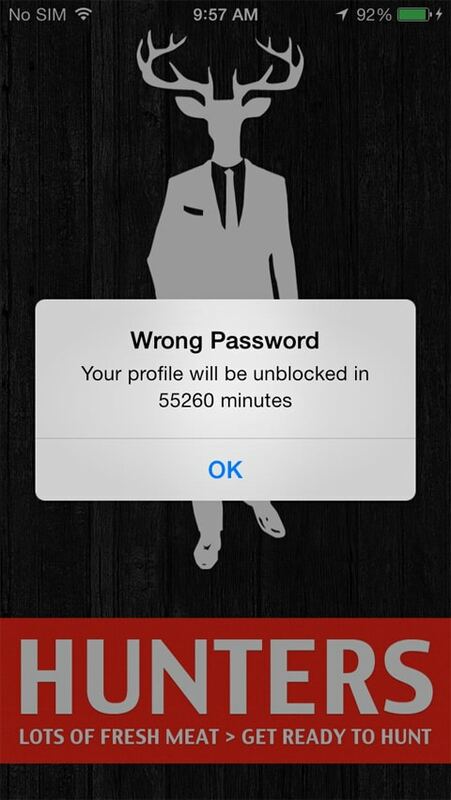 Hackers completely destroyed their profiles and all their messages." On the morning of February 2nd, just a few days before the opening of the Olympic Games, users trying to open this gay app in Sochi were greeted with an alert saying that their profile was blocked for the next 55,000 minutes (38 days). It looks like the Russian Government decided to take full control of the Internet and implement Turkish practices where Grindr has been banned for almost half a year. 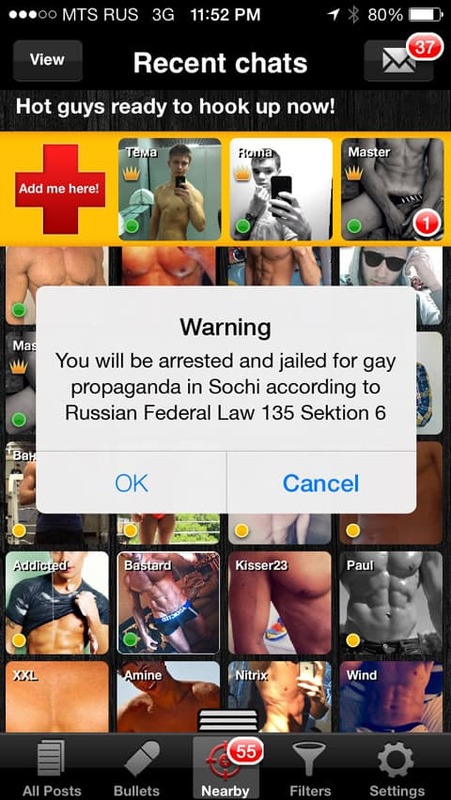 I think that this attack is connected to increasing censorship of the Internet and very soon other gay dating resources in Russia will face similar problems. Our team was able to restore 24% of the profiles after 12 long hours. 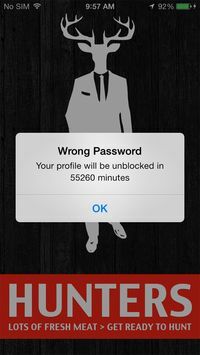 All other profiles were unable to be restored. In order to protect our users from future injustice, we have started moving our servers from Russia to Europe and are planning to finish this process within the next 3-5 days. 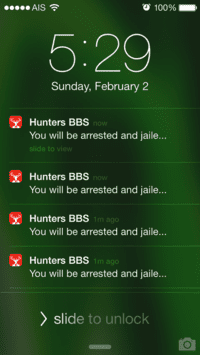 Therefore, Hunters users may face further disruptions in the coming days. I urge the entire gay community and all of those who consider the Internet to be a free zone to boycott not only Russian vodka but also everything that is linked to the Olympics and not to buy any Olympic souvenirs." This attack should be looked at as an attack on the worldwide gay community with the goal of blocking any gay interactions during the Winter Games in Sochi, including those between athletes and locals. 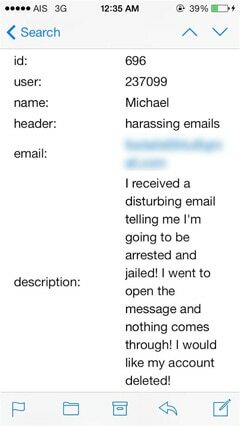 Dmitry provided screenshots of the alleged attack to Towleroad. If anyone can provide verification of the attack to us please email at tips-at-towleroad-dot-com or leave a note using the 'tips' link on the right-hand side of the site any additional info would be much appreciated. Dmitry also provided screenshots of user complaints to their support after the app was hacked.